Knox Font Features: Chromatics | Hoefler & Co.
Knox includes not only a “shaded” font, but a pair of separate layers for the background and highlight, making it possible to create complex color typography easily. 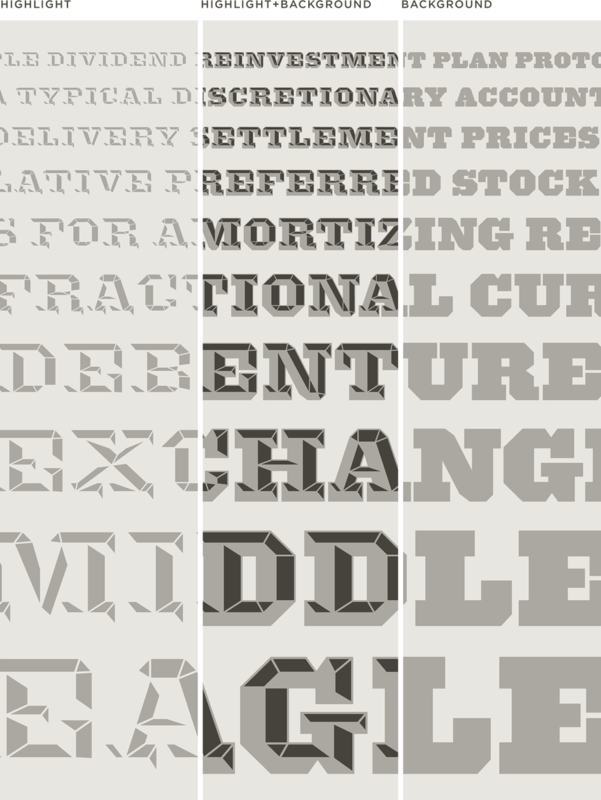 In addition to its “shaded” font, Knox comes as two separate layers — Highlight and Background — which can be superimposed to create complex typographic effects. All three fonts are designed to be used in register, allowing print designers to more closely control overprints (and choke and spread), and giving web designers the added flexibility of working with each font in its own Photoshop layer. Varying the color of the background and foreground can dramatically alter the mood of the type. Certain tonal combinations can even extend the usefulness of these display types into unusually small sizes. 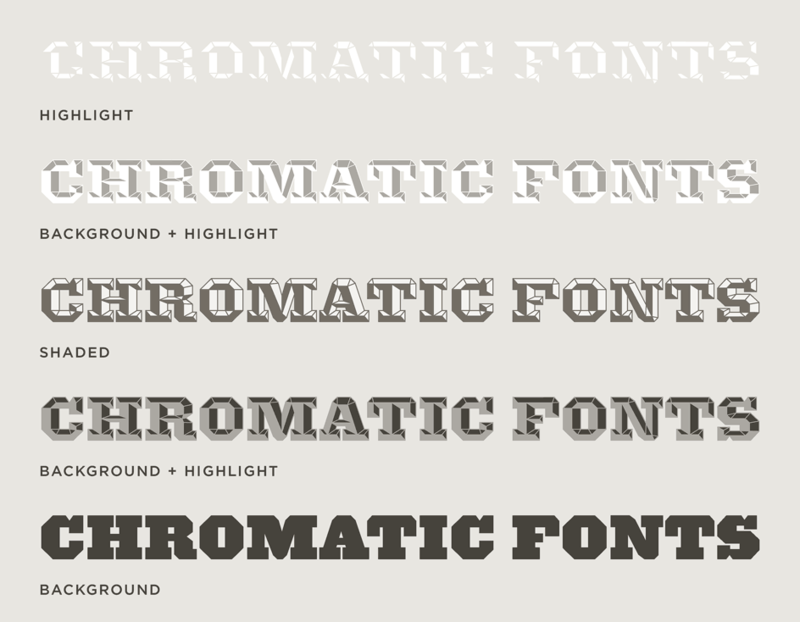 The Shades package includes three more fonts for just $129.00! Chromatics. Knox includes not only a “shaded” font, but a pair of separate layers for the background and highlight, making it possible to create complex color typography easily. Language Support. Knox features our Latin-X™ character set, covering more than 140 languages throughout the world — including all of Central Europe.